The failure rate for New Year’s resolutions is truly shocking. Every year some 64 percent of people will resolve to change for the better. Eating healthy food, losing excess pounds or getting fit are the most common goals, according to a new infographic by Fitness Review. The infographic examines the key factors which can increase the success rate of these goals. A growing number of work sites offer face-to-face and/or telephonic health coaching as part of their wellness programs to help employees improve their health status and reduce healthcare costs. A new infographic by WellSteps examines the effectiveness of health coaching programs, who should be targeted by health coaching efforts and the recommended number of health coaching interactions. Validated in over 300 clinical studies, motivational interviewing (MI) remains the most patient-centered and effective approach for supporting better patient engagement and activation, disease self-care, treatment adherence and lifestyle management. 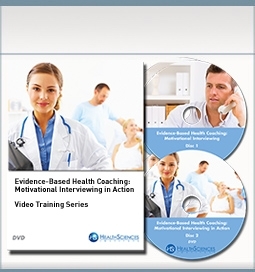 Evidence-Based Health Coaching: Motivational Interviewing in Action is the first MI video training series especially designed for clinicians who serve individuals at risk of, or affected by, chronic diseases. Whether you are serving in a wellness, disease management, or care management program, or a primary or specialty care setting, hospital or community program, this series will help you build the practical MI knowledge and skills you need to support your patient health and address the behavioral factors that are responsible for over 85% of avoidable healthcare costs. Recruiting patients for health coaching is a multi-faceted process, says Alicia Vail, RN, is a health coach for Ochsner Health System. 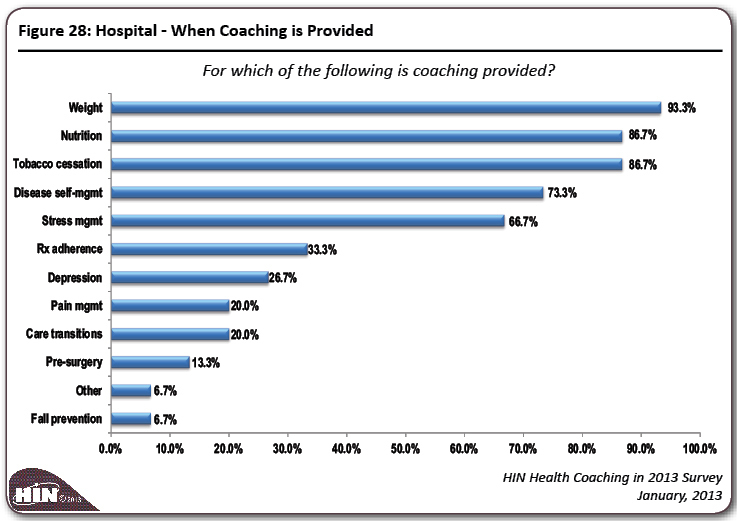 Health coaches can enlist the services of physicians, case managers and transition navigators for referrals to those patients who would benefit from coaching post hospital or physician discharge. There are several ways we recruit patients. First, we have created health coach referral criteria to help physicians and staff identify patients who would benefit from health coaching. These patients would need coaching on self-management of chronic health problems such as hypertension, diabetes and obesity. We also get referrals from physicians when they see a patient in their office and identify that the patient could benefit from health coaching. Second, we also identify patients through pre-chart reviews. Third, we look at labs and other needed or outstanding screenings prior to their appointment and notify the physician. Fourth, we utilize different lists to help us identify patients. The hemoglobin A1C list helps us reach out to our diabetic patients who have not reached their goal of hemoglobin A1C of 7 or below. The emergency department list allows us to prevent readmissions by having the health coach reach out and capture these patients. Fifth, HEDIS® measures allow us to focus on needed health screenings or tests for patients. Sixth, when we meet with our patients for glucometer or insulin training, we have an opportunity to explain and offer our health coaching program at that point. And lastly, sometimes our in-patient case managers or transition navigators, who help with patient discharge preparation, will refer patients to the health coach for post-hospital follow-ups. Excerpted from Stratifying High-Risk, High-Cost Patients: Benchmarks, Predictive Algorithms and Data Analytics. While health coaches address the health risk continuum  keeping the healthy healthy without compromising the clinical support needed for high-risk, high utilization individuals, it is necessary to align individuals with the right coaching service at the right time, say Dennis Richling, MD, chief medical and wellness officer, and Kelly Merriman, vice president of service delivery for HealthFitness. Here they explain the three levels of heath coaches needed to address their clients’ wide-ranging needs. 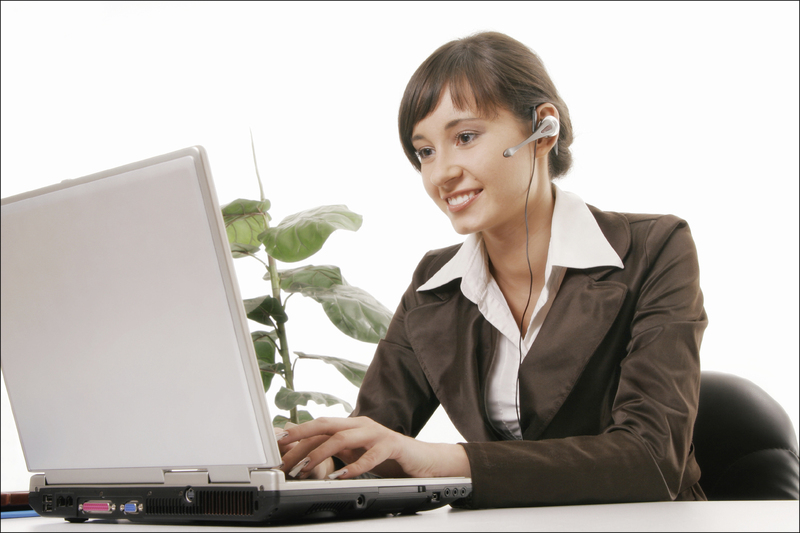 Our approach engages the individual with the right coach for their need. We use three types of professional coaches: there are health coaches, who are lifestyle coaches, individuals with bachelors, masters and doctoral degrees in health-related fields. There are also advanced practice coaches, skilled senior health coaches who have been trained in clinical conditions in chronic disease management. 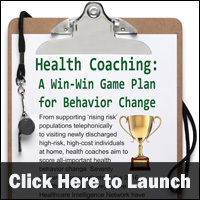 And then there are nurse coaches, who are registered nurses, who also have been trained in behavior change techniques. We take a look at what happens and who fits into which category. First, there are those people with no chronic disease but who have health risks. They have issues trying to manage their healthy lifestyle and are seeking help. Those individuals go to health coaches. Next, there are those individuals with chronic diseases but they’re managing their medication appropriately and complying with the preventive and control measures for their chronic disease. But their underlying lifestyle issues remain, and these individuals go to advanced practice coaches. Lastly, there are individuals who are not following their care plan, their care is not coordinated, they are seeing multiple doctors, and their medication compliance is poor. They do have underlying lifestyle issues, but their biggest problem right now is managing their chronic disease and these individuals go to the nurse coach. Excerpted from Integrated Health Coaching: Reducing Risk and Empowering Change across the Health Continuum. Group health coaching is an evidence-based, cost-effective way to help individuals achieve their wellness goals. For patients or health plan members who have trouble losing weight, getting active, or adhering to their doctor’s or nutritionist’s advice, it might be time to consider group health coaching. Studies show that group health coaching is an evidence-based, cost-effective way to support individuals in succeeding in their wellness goals. Guidance from a behavior specialist to help participants break wellness goals into manageable steps and create a clear, actionable path to success. Hands-on lessons about the science of habit change and take-home activities so that participants can immediately apply the information in their own lives. Connections with others who share the value of healthy living, and are on a similar wellness journey, so that participants can draw strength from supportive peers. Frequent celebration of accomplishments and specific praise and feedback from the health coach for participants’ small steps toward overall wellness. Regularly scheduled group sessions that build in accountability and keep participants committed to healthy change. Individuals managing a chronic illness shouldn’t have to struggle alone. Luckily, group health coaching is an up-and-coming model of care that physicians are using to help patients create a community where they can connect with others and learn to thrive. With the rise in chronic illness, there is a great need for patient-centered care that addresses lifestyle factors, increases patient education, and supports self-management of healthy habit change. Group medical visits are a relatively new model of patient care that allow physicians to deliver more comprehensive patient education and self-management instruction. During a group visit, 10 to 20 patients with similar chronic problems, such as diabetes or coronary artery disease, meet together with their physician to get a regular check-up and also discuss personal goals and barriers to treatment. Group visits offer patients with similar conditions more face time with their physician and also provide the opportunity to learn from and support one another in achieving wellness goals. So, how does behavioral health coaching fit into the medical group visit model? 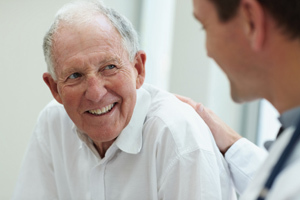 Typically, the physician meets with the group to conduct the necessary elements of an individual patient visit (e.g., collection of vital signs, history taking and physical exam), and then a behavior specialist facilitates the educational component and group discussion, and addresses each patient’s psychosocial concerns. With input from the physician, the behavior specialist spends the majority of the group visit covering topics such as medication management, stress management, exercise and nutrition, and community resources. He/she will also field questions and concerns from participants and offer suggestions and advice that applies directly to their particular situations at home. The group coach will also spend time helping each patient to create behavior-change action plans and set personalized goals that they aim to accomplish by the next session. Patients’ family members can also be included in these group sessions so that everyone is better informed and more committed to healthy change. As an employer, your employees are your organization’s MOST important resources. We all know that effective wellness programming can help reduce employee sick time, decrease in staff turn over, improve work satisfaction, and increase staff productivity. And, group health coaching can be a key component in successful, employee-centered wellness programming. An added benefit of group health coaching, as opposed to self-paced, independent employee wellness programs, is that it is a highly engaging program, led by a qualified professional. In building relationships with participants, the group coach can identify those who could benefit from additional supports and refer them for further medical or mental health consultation. The group coach can help employees overcome hurdles to preventive care by demystifying the health risk assessment and the process of reaching out for additional help. The same connections cannot be made via online gaming wellness programs or self-paced weight loss or walking challenges. Group health coaching is effective and cost-efficient for individuals, families, patients with chronic illness, and employees. A health coach provides important education, tools and strategies for lasting change. And the added bonus of working with a group of peers means that individuals are more likely to stay engaged and accountable in the long run. For those keen to commit to healthier lifestyle habits, consider group health coaching to boost their chances of success. Not sure whether group coaching is a good fit for your patients or members? Set aside your stereotypes of stale, boring support groups. Coaching circles can take the form of a hike, wine night, coffee shop chat, or an office party, and can incorporate an activity and location that is easily accessible (and even fun!) for participants. The group coach can lead dynamic lessons about the science of habit change, guide participants in health-focused goal-setting, and then open the floor for dynamic discussions about participants’ personal desires, motivations and barriers. 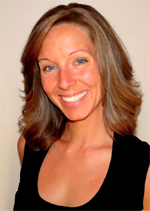 Megan Coatley, MA, BCBA, CPT, is the founder of SPARK Behavior Solutions, LLC, located in Boulder, Colorado. 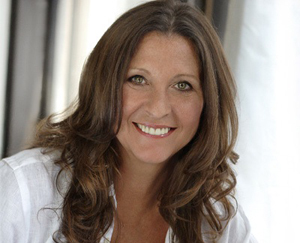 As a board certified behavior analyst and health coach, she specializes in teaching others the principles of behavior science, so that they can create lasting healthy habit change. The strategies she teaches participants during SPARK Coaching Circles help her clients to master healthy nutrition, fitness, stress management, and work/life balance. 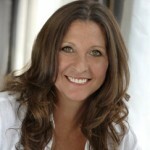 She partners with local physicians to provide group health coaching for their patients, offers individual sessions in-person and via phone and Skype, and also teaches employers to lead wellness coaching groups, so that organizations can continue boosting employee wellness long after her consultation ends. Integrated health coaching continues to move the needle on population health management with interventions that keep the healthy, healthy without compromising the clinical support needed for high-risk, high utilization individuals. Dr. Dennis Richling, chief medical and wellness officer for HealthFitness, and Kelly Merriman, vice president of service delivery for HealthFitness, believe coaching offers a great opportunity to change the health status of a population. In HIN’s special report, Integrated Health Coaching: Reducing Risk and Empowering Change across the Health Continuum, these industry experts detail HealthFitness’ move toward integrated health coaching, including the rules of participant engagement, the role of technology, and the range of self-management tools provided for participants. Question: What strategies reach the population and increase engagement in health and wellness coaching? Response: (Dr. Richling) One of the key strategies has been the use of an incentive that draws people toward the program. Incentives are fairly effective in getting people to do certain kinds of activities. If we provide an incentive for taking a health assessment, for instance, then we can engage them in a health advising session. We can take that external incentive and try to leverage it into an intrinsic motivation to go into our health coaching program. We see a better engagement rate when we offer an HRA, and when we provide screenings and advisement. (Kelly Merriman) Engagement is also how long participants are choosing to engage with their coach. One of the main reasons we created our EMPOWERED Coaching program, or coaching across the continuum, is to more appropriately assign those individuals who have a chronic condition that is being well managed with somebody specially trained in lifestyle engagement techniques. Individuals working with our advanced practice coaches are much more likely to remain engaged with their coach because they’re focusing on those things that are most important to them. Question: What is the role of technology in the various levels of health and lifestyle coaching? Assessment of risk is ongoing; HealthFitness’ data and technology platform can reassess a participant’s health status whenever new data becomes available. Health coaches access a unique dashboard of participant-specific information via a proprietary HealthFitness technology platform. The technology populates a record with personal health risk factors, claims data, biometric screening results and previous contact with the coach and other program personnel, as well as complete activity and program information feeds. The platform also displays a 360-degree interactive view of client-specific program options so the coach can reference participants to health management activities and programs from their employer, whether HealthFitness provides the services or not. Question: What tools do you provide to your coaching participants to help them self-manage their conditions? Response: (Kelly Merriman) We have a series of educational and self-management tools available for participants via their wellness Web site and/or the mail. For example, a coach can share documents and resources with a participant through a toolbox, which then integrates with the wellness portal. Additionally, participants are able to set up and track their focus area goals of interest. The coaching program has a mobile phone interface that allows users to track their progress remotely and stay in touch with their coach. University of Delaware's Health Coaching Certificate recipients' presentation. Mike Peterson, top left, Kathleen Matt, Dean of College of Health Sciences to his left; faculty members, Katherine McCleary, Emily Davis, students. 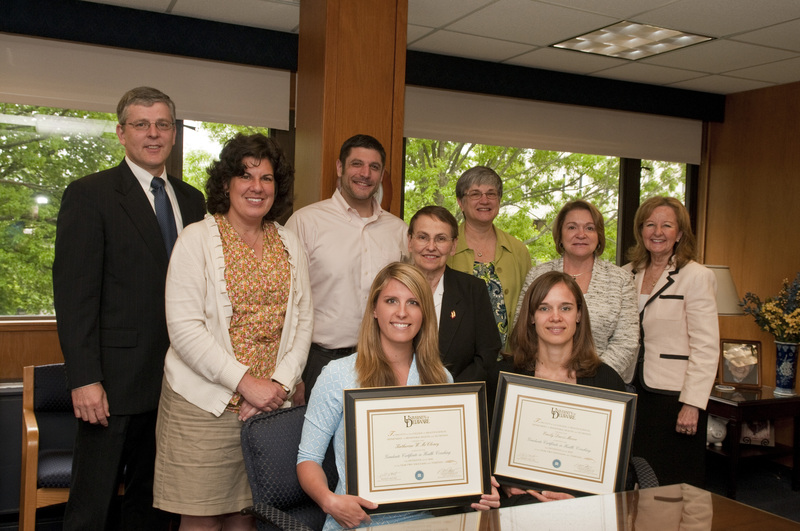 Motivated by a recurring lament among local physicians and health professionals that patients weren’t following through on certain behaviors, the University of Delaware (UD) launched its first Health Coaching certificate program in 2011, and honored its first two recipients at a ceremony this past May. The 18-credit hour post-baccalaureate program prepares health professionals to work in a clinical setting as part of a team that facilitates behavior change among at-risk patients, decreases demand for healthcare services, and reduces morbidity across the life span. To create this program, curriculum leaders consulted the Delaware Health Sciences Alliance, which comprises the UD, as well as the Christiana Care Health Systems, Alfred I. DuPont Children’s Hospital, and Thomas Jefferson University, a Philadelphia-based medical school. The school received valuable insight from a team of local physicians and health professionals, including nurses, clinical psychologists, nutritionists, behavioralists, and pharmacologists on perceived needs and deficiencies in the healthcare system, and the kinds of skills and competencies they would like to see in a health coach. 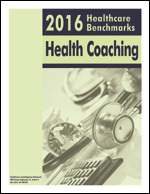 According to the report “Market Demand for Certificate Programs in Health Coaching,” from the Education Advisory Program in Washington, D.C., which stated that employer demand for health coaches has grown 408 percent since 2007, with the number of health coach job openings peaking a year after the ACA was passed. And the top five skills sets employers are seeking in health coaches? Case management, disease management, motivational interviewing, chronic disease, and clinical experience. Following is our discussion with Mike Peterson, chair of UD’s Department of Behavioral Health and Nutrition. HIN: What prompted you to offer this program now? Mike Peterson: We created it to address the primary determinate of health, which is behavior, which accounts for about 40 percent of morbidity, according to the World Health Organization (WHO). Most doctors, because of the current health system, can only spend from seven to 15 minutes with a patient, which really isn’t a lot more than diagnosis and treatment. The other thing is that most medical professionals, doctors and nurses don’t get any behavioral change expertise, knowledge or skills. They are trained in diagnostics and prescriptive treatment. HIN: What insights did you receive from physicians and health professionals regarding skill sets and competencies needed for the certificate? Mike Peterson: They have to have case management, disease management, and motivational interviewing experiences or knowledge. They have to have a basic understanding of chronic disease, which we provide; a course that covers about 20 of the major, common chronic diseases, their ideology, their treatments, diagnosis, pharmacology. They have to understand how to change people’s behavior, have good communication skills and a good working knowledge of basic health promotion and health education principles. There’s clearly a skill set that’s currently not being taught in the other health disciplines. How do you extract information? How do you work with an individual? How do you motivate an individual? How do you communicate with them in a way that actually gets them to do the behaviors that are necessary to improve their health? HIN: What recommendations were made on motivational interviewing techniques? Mike Peterson: Motivational interviewing is important, but it doesn’t work in all cases. It’s somewhat oversold as a panacea for all problems. It’s a good tool to have but not every problem is a nail. Sometimes you need other tools in your toolbox to facilitate behavior change. So we teach other types of behavior change strategies as well: the use of contracting incentives, things to help facilitate and promote behavior change. HIN: You would like to see health coaches affiliated with doctors’ offices and clinics. Should they be embedded or co-located in the practice or clinic? Mike Peterson: Yes. We’re trying to get them placed right in the clinical office and become part of the healthcare team, for example, the medical home model where the doctor is in charge and the health coach is part of that team. We see health coaches not necessarily dealing with every patient a doctor has, but the primary, high-risk patients, or people of moderate risk who could have potential for high risk. HIN: What about reimbursement for them? Mike Peterson: That’s a good question and the one we’re all wrestling with right now. There’s been a shift in the demand for health coaches from payors to providers; we are seeing health coaches paid right from the insurance industry or hospital; they see that the coach is a good idea and so they decide to fund them privately within their own coffers. And under the new healthcare bill doctors are paid for outcomes. If they get better outcomes with patients they get a percentage of the potential savings reimbursed back to them. Some of those funds could be used to fund a health coach. HIN: What insights did you receive on recommended caseloads for health coaches? Mike Peterson: Ideally, if you have a 40-hour work week, about 25 hours could be engaged in client time, one-on-one face time. The other 15 hours would have to be a record keeping and perhaps telephonic communications with previous patients or communications with the medical staff about what’s going on with specific patients. So we figure in any week you could see 25 individuals. HIN: How can health coaches help to improve care transitions, from hospital to home? Mike Peterson: Again, going back to their primary role, which is helping people deal with behavior changes, their role in terms of transitions from hospital to home would be to follow up with some of the behaviors that they would need to do, such as out-clinic or out-patient activities. For example, if they just had physical therapy following a knee replacement, it could most likely be due to their being overweight. Health coaches could help them maintain a physical therapy program, and also help them with strategies to lose weight. They would work in tandem with the patient and healthcare professional. HIN: Where do you see the profession of health coaches in the future? Mike Peterson: Ultimately, we would like to see health coaches licensed, because too many people now are calling themselves health coaches and not anyone knows what it is. Someone says they’re a health coach and they deal with ADHD and another person says they’re a health coach and they deal with personal training, so they’re basically a glorified personal trainer. This month’s inside look at a grief coach, the choices she made on the road to success, and the challenges ahead. HIN: Tell us a little about yourself. (Audrey Pellicano): I was widowed in 1990, at 37. My baby was 2 ½ months when my husband Joe died and I also had a two-year old, a four-year old and a six-year old. I spent 37 years in healthcare, as a nurse, specializing in case management and health sciences. I have my bachelor’s in nursing and received my master’s in health sciences. In 2009 I went into grief coaching. I also recently started the first Death Café in New York City. There’s usually 12 to 14 people who get together at a nice coffee place, and over coffee, tea and dinner or dessert, everybody discusses death. Everyone is there for a different reason. This is not a group of grievers. I’ve had some people who are with hospice. I’ve had journalists who are looking to write about the whole new trend. I had one woman who had attempted suicide twice. I had a young college student who was studying, taking a class on death and dying and she thought she would find information to write on a paper. It’s a wonderful concept, and the ages range from college students to a woman in her 80s. Outside of the Death Cafe, we talk about life and ignore death as if we could avoid it. In the Death Cafe, we openly talk about death, dying and living fully. How did you get into health coaching? I’ve been coaching my entire life. For 10 years I was a case manager at a managed care facility. It was very frustrating. When I first began it was very satisfying; the patient load was low and I felt as if I was impacting people’s lives. I got to know the patients and their doctors well; the doctors knew who I was, and what my purpose was in helping the patients. But by the time I left the workload was about 260 patients. It was impossible to effectively help these people change their diet, incorporate exercise. It was just overwhelming. So I left and started grief coaching. That would be after I left case management. After spending 27 years in healthcare, I thought I should help coach people who were diabetic, or who had heart disease, but the idea didn’t give me energy. And then one day, like a light bulb, I realized I needed to work with people who were grieving. I realized “Of course you’re supposed to be helping widows and people who have lost loved ones.” When my youngest daughter went off to college in 2009 I made my major move. I started doing it part-time so I could develop the business until I was comfortable enough to quit my full-time job. Can you tell us a little bit about your grief recovery work? Six years after my husband died, I came across a book called the Grief Recovery Method, by John James and Russell Friedman. It just hit me one day that I was not doing well; that I hadn’t moved emotionally forward after losing Joe. I was actually dating someone and he broke it off and I was absolutely devastated. And I realized that I couldn’t handle the goodbye. That’s when I said, “Oh boy, you’ve really not been looking at this grief at all.” We’re not a society that talks about it. Most often we don’t grieve in front of people, we grieve alone. Can you tell us about your organization, Wise Widow? As a grief recovery specialist to corporations, I provide information and training for managers and co-workers focusing on the necessary tools to support a returning employee after a personal loss. I use the Grief Recovery Method in my practice. I have not had a client that hasn’t had an ‘aha’ moment. I believe in it because it’s not long-term talk therapy. We’re in a society that wants it now, but you have to do the work in order to reach your goal. And this is just that. It’s a seven-week program, and there’s an assignment and my clients understand from the beginning, if you don’t do the assignment, we need to change your appointment because I will not meet with you. If they don’t do the work, we can’t move forward to the next step. I also speak on Healthy Living After Loss where I incorporate meditation, yoga, guided imagery and nutrition. And I offer presentations on Moving Forward After Loss and The Right Thing To Do: Grief Support at Work. What concepts or rules you follow in coaching? The people that I work with have to be ready to work within the parameters of my program. It could be anywhere from two to 10 years since their loss, and it could be any kind of loss  it doesn’t have to be the death of someone. It could be a financial loss, any kind of a loss that triggers the same loss issues, but they have to be willing to work at shifting their grief. How have your nursing and case management skills informed your coaching? I was a telephonic case manager  I worked by phone. People would say, “You can’t be effective by phone.” But I disagreed. It enabled me to be comfortable starting my business virtually. As far as nursing goes, I know a lot of questions to ask that the lay person may not know. I work with the boomer generation, women my age, mid 50s to 70, and many of them already have some kind of chronic illness, weight gain and have been through a lot of changes. Let’s say they have hypertension. Most of them have absolutely no idea how the foods they eat are affecting them. Do you see a trend or path that you have to lock onto for the coming year? Focusing and being there for the baby-boomer women, whom I believe are going to make a lot of changes in the way they look at grief, in the way they move forward with their lives. Baby boomers are far more demanding; they’re going to make a change with end-of-life care; they’re more demanding about physicians, more selective. It’s a very strong and powerful group. Part of my mission is making people realize that they will grieve at some time in their life. What is the most satisfying thing about being a coach? I think the most satisfying thing for me is helping clients to see that they actually can make a change. Especially the age group that I work with, the tendency is, I’ve been doing this for years, it’s going to be so hard. And it’s not. It’s making things simple for people. And then they feel better, and they actually get better. I grew up in Brooklyn, NY. Then, when my father got a new job we moved to the suburbs, Westfield, NJ, where my first husband and I continued to live and where I raised my children after he died. In 2009 I spent a year living alone in the Catskills, and then moved back to Brooklyn where I live with my second husband. I’m a city girl at heart. I received my nursing degree from Bloomfield College, Bloomfield, N.J., and my master’s degree from Jersey City State University, Jersey City, N.J. I got remarried in October, 2012. I had been widowed for 22 years. I wanted to raise my children, because they were quite young, and my focus was on them. My youngest daughter is graduating college this year. So I felt I guess I could give this a try. My four children were at our wedding and they were very happy for us. I guess yoga is my hobby. I’m a certified yoga instructor. I studied in New York City. A studio had opened in my town, and I’d read about how healthy it was and great for staying in shape. Is there a book you recently read or a movie you saw that you would recommend? Having read all the widow books out there, I have to recommend Dr. Joyce Brothers’ excellent book, entitled Widows. I also recommend Rework, by Jason Fried and David Heinemeier Hansson. It’s about business practice. I liked it because as a business owner, a lot of the stereotypical business models frustrate me. This is thinking outside the box. You don’t have to have this before you do that. It’s not complicated. You have to have a business plan in place typically, and then it’s just go and do it. I like that kind of attitude. I do that in my own life, just go ahead and do it. In June my first eBook was released: Six Secrets to Surviving Widowhood. Within those six secrets is a lot of information about using meditation, guided imagery, making healthy choices. It’s not about the grief recovery method, because I tell people who want to go first towards that healthy lifestyle that they have to get through their grief first. I’ve been there and I know that it’s not going to work if you haven’t allowed yourself to complete the grieving process. I continue to offer my clients ways to get healthy once they’ve been through the initial program with me, and have been able to lift their grief a bit.